Shortly after I started working as a professional photographer, clients and people who followed my work started asking me why I didn’t sell stock images. At the time the boom of Premium Stock photos and Stock membership sites had just begun and, from the outside, it looked like a good business opportunity. For one, because I tend not to do what everyone else is doing (I have a tiny rebel in me). And secondly, because for me to create something, it needs to be because I have something new and original to contribute. Creating a slight variation of what others in my field were doing looked like a terrible business idea that would only add a drop of blood in an already very red Ocean of competition. I wanted to follow Chase Jarvis, who says: “Don’t be better, be different”. So I started observing whether there was a need for an alternative…and going within to see whether I wanted to provide it. Because unless what I wanted to create lit me up like a Christmas tree, I knew I wouldn’t go through with it. And then, I discovered the world of archetypes. 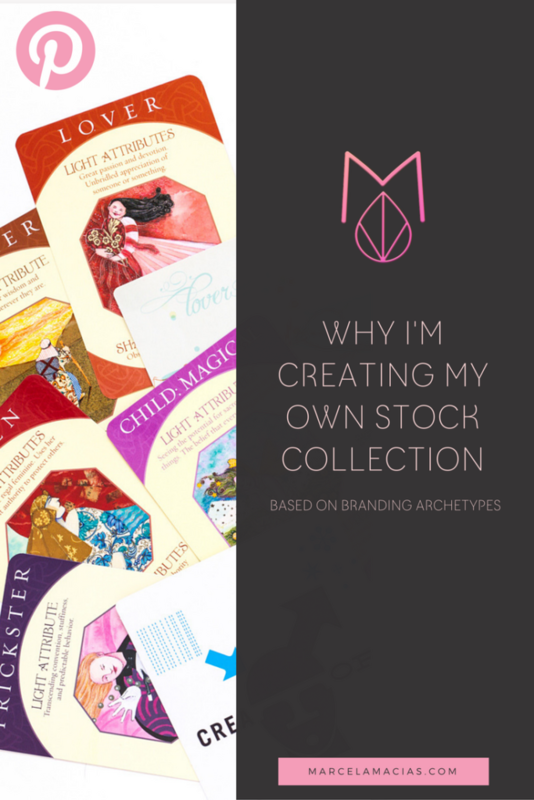 On an intuitive level, I had always seen my client’s archetypes and the energy of their business, in colors, very clearly, but until I found the work of Jung and Joseph Campbell, everything I did was very unconscious and unsystematic. Or, in other words, I had no clue why some styling and props felt right and some others just didn’t. When I discovered archetypes, everything started to make sense. Why some photos looked organic and aligned and others didn’t, how to verify that what I was perceiving about my clients was actually what they needed, the hidden symbols of every object, the meaning of every color. I read and read and read, and studied everything I could get my hands on, and then I closed both the books and my eyes and looked within, to check with myself how it all felt to me. Whenever I started talking with a client, images of objects, props and colors would start jumping in my mind, and when I would go check whether the symbolism was right, it always was. I had found my own holy grail. The type of work that came easily to me, that I adored doing and that could actually help others. The question was: how could I do more of it, help more people, push my creative boundaries. That’s when I started thinking about a stock photo collection based on the world I love and in the work I’d been doing for a few years: archetypes. And that’s when I started planning, pinteresting, dream boarding and designing these collections. One after the other, the right props started to show up on my path, as if by magic. On a very hot July morning, after months of dealing with technical gremlins, I finally started shooting. And tomorrow, after two full years of planning, the first collections for the Magician Archetype will be revealed. 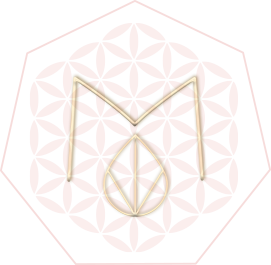 I created them because Archetypes, to me, are about alignment. Alignment to the soul of your business. Alignment to your purpose. Alignment to your right clients, who need to recognize YOU in your photos in order to trust you. I created them because I wanted to give you a tool, not just to make your website pretty, but to make it a reflection of who you are, what you love, and what you bring to the table with your work. If you haven’t done so yet, go find your branding archetype here. And then come share it with me in the comments and tell me: what are you creating next?